Gowanus, the Brooklyn neighborhood known for its namesake toxic canal (which is prone to flooding), will be joining Manhattan’s Garment District as the next neighborhood to be rezoned. Following over 100 hours of community outreach after the release of the original Gowanus PLACES Study in 2016, the Department of City Planning (DCP) has unveiled the Draft Framework for a Sustainable, Inclusive, Mixed-use Neighborhood. The 188-page draft breaks down suggestions from the city and community on how to boost the neighborhood’s resiliency, replace some of the manufacturing areas with residential, and build up flood-resistant infrastructure. New York City Housing Authority (NYCHA) tenants were also consulted on how to improve the area’s public housing stock moving forward. 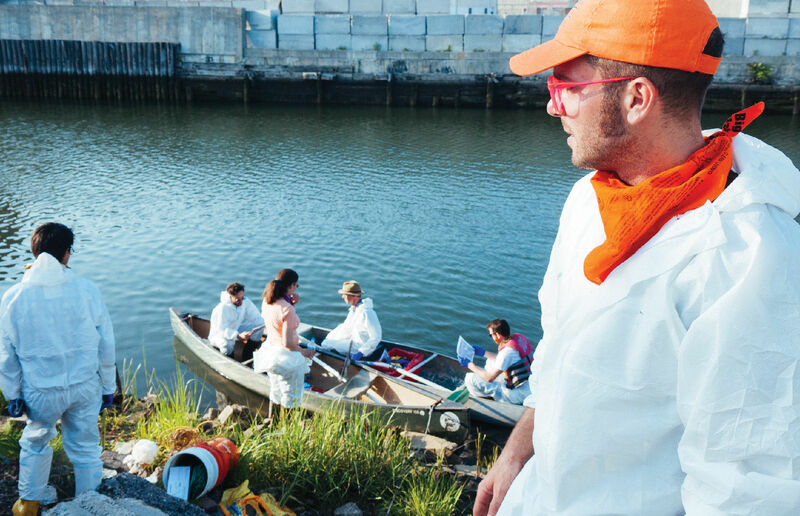 Surprising no one, a great deal of attention was paid towards the future of the Gowanus Canal proper. Plans for dredging and remediating the industrial waterway (despite the preservation concerns), preventing runoff from reaching the canal, and incentivizing private residences to remediate their contaminated sites were given top billing. Despite the fetid waters, Gowanus has seen an upsurge in luxury development in recent years (including Brooklyn’s first Whole Foods, on 3rd Avenue). The city worked with community groups such as Bridging Gowanus to develop guides for building affordably in the neighborhood. Some of those proposals include rezoning the majority industrial and commercial neighborhood to allow for mid-rise residential developments with a sizeable affordable housing component. 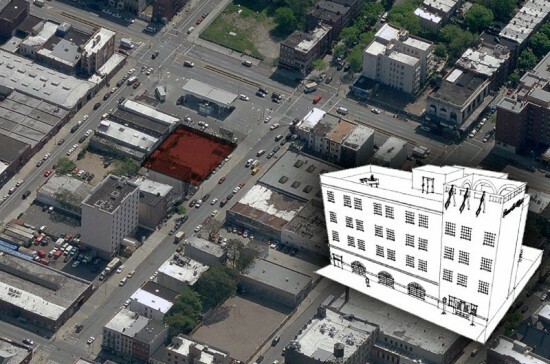 While nods were given to reigning in development along mid-block properties, the city has proposed allowing higher-density developments along certain stretches, such as near Thomas Greene Playground and on 3rd Avenue. Some of the beefier urbanist proposals in the draft framework include bridging non-contiguous plots into walkable “superblocks,” and the creation of a unified waterfront esplanade around the canal under a Waterfront Access Plan (WAP). The WAP would also create uniformly-spaced canal crossings, new flood resistance requirements, ground-floor retail requirements along the waterfront, and lowered street wall heights on the coast. The full draft framework plan can be found here. The framework’s release will be followed by the Draft Neighborhood Plan and Zoning Proposal this winter, and then the rezoning proposal will move to the Uniform Land Use Review Procedure (ULURP) for public comment. Interested community members can attend an open house at P.S. 32 at 317 Hoyt Street on June 27 from 5 to 8:30 P.M. to share their feedback. Cresol, a toxic substance that in humans can damage the respiratory system, gastrointestinal system, blood, liver, kidney, and central nervous system. Aniline, probably the most scary, is used in dyes and plastics production. It is "classified as very toxic in humans", with a probable oral lethal dose in humans at a very low level. As new apartment buildings continue to rise in Gowanus, Brooklyn, New York City's Department of Environmental Protection (DEP) has announced plans to install 90 bioswales nearby in hopes of cleaning the neighborhood's eponymous—and oh-so-polluted—canal. DNAinfo reported that starting this summer, the DEP will plan the so-called "curbside gardens" in hopes of soaking up about 8 million gallons of stormwater runoff, ultimately helping the overall ecological well-being of the Gowanus Canal. 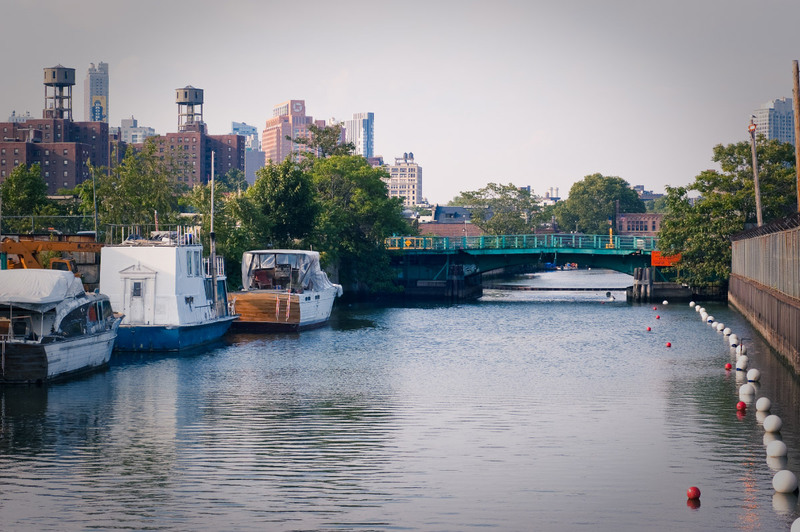 "Investing in green infrastructure is a cost-effective way to improve the health of the Gowanus Canal, green neighborhood streets and clean the air we all breathe," said DEP Commissioner Emily Lloyd in a statement to DNAinfo. 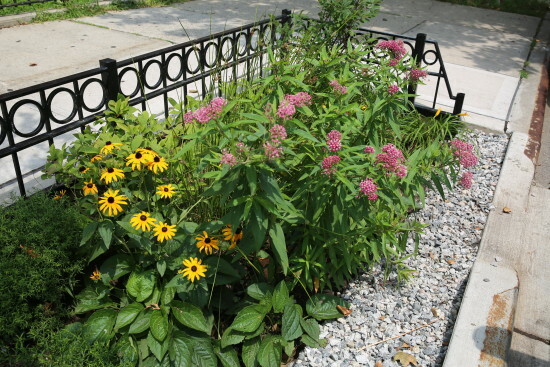 This bioswale program is part of New York City's larger, multi-billion dollar effort to use green infrastructure to capture stormwater and beautify streets. As AN reported last fall: "Thanks to a landmark 2012 settlement with state environmental officials, New York City finally is taking major steps to manage stormwater near contaminated waterways that don’t comply with the Clean Water Act, such as the Gowanus Canal and Newtown Creek. The initiative includes an ambitious plan to spend $2.4 billion on green infrastructure, which can include streetscapes designed with materials such as structural soil and permeable pavers." Last week, ODA: Architecture unveiled a dramatic rendering of a megaproject for Gowanus, Brooklyn, featuring a cluster of semi-transparent stepped pyramids. But almost as soon as the design was released, the site's owners stepped in as buzzkills, disavowing any connection with the ODA proposal. After the sleuths at 6sqft identified the future home of the ziggurats as 175–225 Third Street—thanks to a bit of graffiti pictured in the renderings—the owners, Kushner Companies and LIVWRK, released a statement indicating that they had already passed on ODA's pitch. "The developers are not working with ODA on this project and these designs do not represent our vision for this site or the Gowanus," they said. "We are committed to putting forth an outstanding plan that respects the context of the neighborhood and responds to the voices of local stakeholders." While we now know that ODA, which is currently working on other New York City projects including 10 Montieth Street in Bushwick, will not be bringing their pinwheel of Mesopotamian-inspired structures to the canal front, much about the future of the site remains uncertain. Last June, The Real Deal reported that the parcel could be rezoned to allow a mixed-use development of over one million square feet, to include 150,000 square feet of retail. The immediate area is ripe for commercial growth, with a Whole Foods located across the street and other large residential complexes going up nearby. 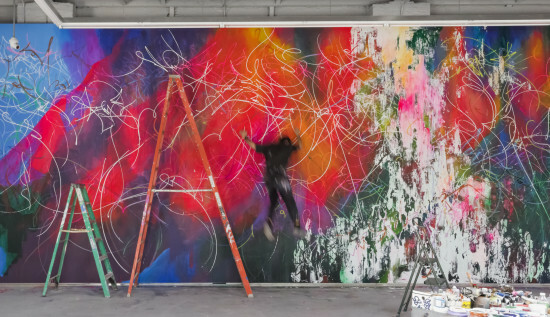 Snøhetta, the Norwegian firm known for big, dramatic buildings around the globe, has completed a more modest project in Gowanus, Brooklyn: the conversion of a warehouse into a studio and gallery space for José Parlá, a Cuban-American artist and painter. 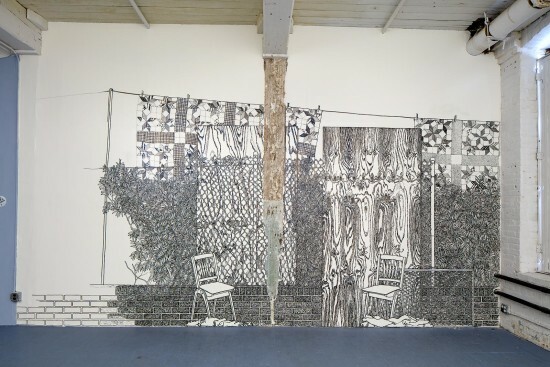 The new space is separated into two defined spaces known as the “Arena” and the “Nest.” The “Arena” is where Parlá can showcase his work, like the mural ONE: Union of the Senses, which is now on display in the lobby of One World Trade Center. And as for the “Nest,” Snøhetta describes that as “a cozy mezzanine [that] provides a relaxing space for the artist to take distance from his work, and an elevated location to view his paintings from a new perspective.” Artists, right? Snøhetta's renovation retains much of the building's industrial past, including its ceilings and concrete floors; the building's brick exterior has largely been preserved as well, but now includes rolling doors to accommodate large pieces of art. Inside, walls are painted grey to highlight the artist's work and old skylights have been opened up to increase natural light. 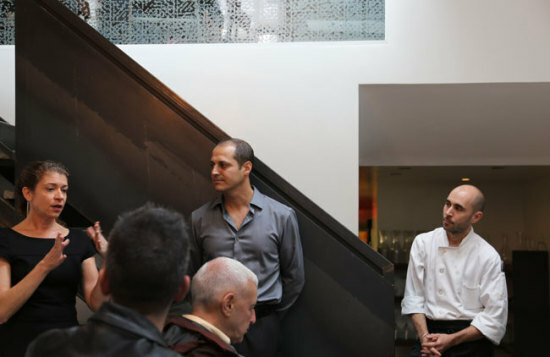 As the team from Latent Productions described the building, head baker Peter Endriss and staff passed small plates including pickled vegetables with chopped egg, whitefish salad with sliced baguette, heirloom tomato soup, and sliced sausage with sauerkraut. Endriss, previously head baker at Thomas Keller's Per Se, reserved one surprise for tour attendees returning from 285 3rd Avenue's upper floors: his signature rye flour and toasted caraway brownies. 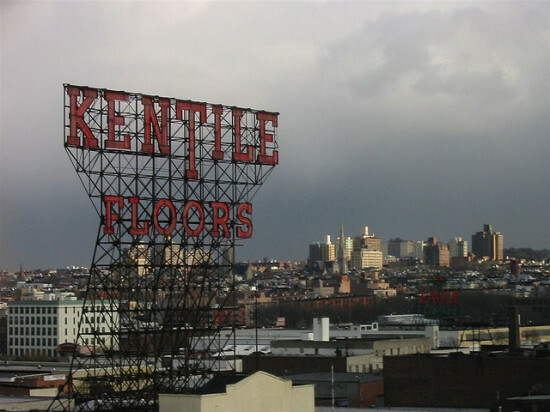 A compromise has been reached in the heated battle over the fate of Brooklyn's iconic Kentile Floors sign. The New York Times reported that the sign's owner will dismantle the structure and donate its red letters to the Gowanus Alliance, a local group which plans to reinstall the sign nearby. For that to happen, though, the eight-story, 50-year-old sign must first be removed from its current rooftop home without breaking. "There are some hurdles to clear," reported the Times. "The permits require that the 20-foot-high letters be reduced to four-by-four-foot sections and sent down a debris chute off the roof." City Councilman Brad Lander, who recently launched a petition to save the sign, told the paper he hopes the letters can be removed with a pulley and not "crammed down a chute." 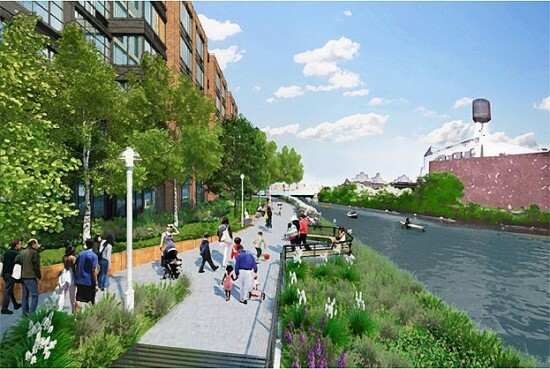 After much backlash from New York City Councilmember Brad Lander and several community members in the wake of Hurricane Sandy, the Lightstone Group has decided to abandon its proposed “minor modification” in favor of keeping the as-of-right design for its Gowanus Canal-side development that is in compliance with the rezoning passed in 2009. Today the New York City Department of City Planning gave Lightstone the greenlight to move ahead with its 700-unit residential development on the Gowanus. The “Minor Modification” would have used a waiver to extend the depth in the rear yard. And while the design initially won the community board’s support, the damage and flooding from Hurricane Sandy in the area generated concern and protest among some residents. According to a statement released by Lightstone today, the design approved is “very similar to the Minor Modification design,” which includes the identical massing along Bond Street and along portions of First and Second Streets, the same floor area and uses of retail and residential space, and the same number of units and affordable apartments. 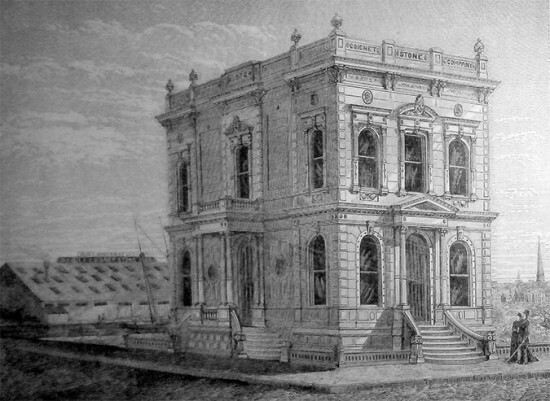 But Lightstone did manage to deviate from the original design by Toll Brothers, the previous developer, by “gently stepping up" the building heights toward the canal and adding 2,955 square feet of open space to accommodate an expanded public walkway along the canal and pull the buildings away from the waterfront. The developers will also adhere to new FEMA maps and implement the required changes to protect the building from flooding such as raising the lowest occupied floors and moving all mechanical equipment to above grade. The blog Pardon Me For Asking reported that even though the Minor Modification is off the table, Brad Lander is not budging on his position. 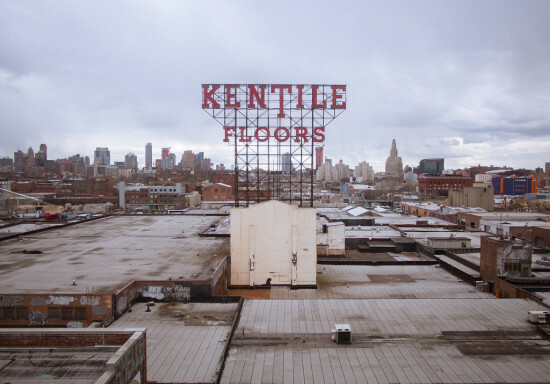 “In the wake of Hurricane Sandy, I continue to believe it is a mistake to move forward with dense, high-rise, residential development without a comprehensive plan for infrastructure and land use regulations that Gowanus needs,” said Lander. The contaminated waters of the Gowanus Canal—nor the threat of flooding from future storms like Hurricane Sandy—are deterring developers from building right up on the canal's edge. In fact, a new swanky boutique hotel is about to wash up on the shores of the Gowanus Canal. This comes at a time when several new hotels are in the works for Brooklyn over the next few years, including the Rockwell Place Hotel in the Brooklyn Downtown Cultural District and Selldorf Architect's revival of the Bossert Hotel in Brooklyn Heights. Capital New York reported that downtown nightlife maven Matt Abramcyk of the original Beatrice Inn and Smith & Mills restaurant will build this new 82-room hotel to be named the Gowanus Inn & Yard at 645 Union Street just off Fourth Avenue. Abramcyk will team up with Alec Shtromandel who built the Union Hotel on nearby DeGraw Street. The project is expected to cost $13 million and slated to open in early 2015. With a slew of new restaurants and concert venues, Gowanus is emerging as the next industrial frontier primed for new development catering to Brooklyn’s hipster-meets-yuppie set.